This one applies to r7574, but I've thought that maybe this thread can turn into a general thread for reporting bugs related to the recent changes with the clipping. Thanks for trying out the map and for your feedback, ck3D. I should say that I've updated my website, hosted by Duke4.net, so it has a copy of the map as originally released. Also took the chance to do other changes, like updating the "Links" page (in particular so it doesn't contain broken links). - Asking again if anybody has found the aforementioned easter egg (which differs from the one that LeoD found)? I can say that there's a bit of a hint in the map, although the renderer you're using may have an impact. To make it a bit more "fair", I should remind that this map is designed with the classic renderer in mind (and in particular, DOS versions 1.3d and 1.5) first and foremost. - btw, not only I eventually excluded any occurrence of the Steroids item (due to warps), but even earlier, I decided to not have any laser tripbomb. Reason is that when used, they may be invisible in sectors with sloped floors/ceilings. - For documentation, I should probably write here a list of issues that I've found now, and which may be corrected, at least partially. Certain examples come from the posts of LeoD and ck3D. Not sure when/if I get to them, but then again, at least some of them shouldn't be difficult / time consuming to handle, and even trivial. - Consider improving a bit the looks of the aforementioned easter egg. - The outer ATMs might be too large / tall. - Outside lighting: Originally, there were no streetlights. Given that this is night time, it *maybe* made some sense to have more-or-less uniform lighting (assuming we ignore the shades of the moon on earth, if the moon is the main source of light). But with the streetlights in use, it isn't as much, unless we count the examples from the beginnings of E4L4 and E4L6, and I'm not sure about the beginning of E3L8. Also, most of these look more orange (on purpose). Making sectors yellow-colored will probably not look that great, unless it's the kind of monochromatic light source which is in use. - Also, a general note on lighting and more: It doesn't have to be 100% realistic, of course, especially in situations when it's difficult or (practically) impossible to do so (e.g., 3+ shades of light covering the same Build .MAP wall). Also, not anything is perfect in the original Duke3D maps, either. For instance, when you check out the sloped floor to the right of the red access card lock in E1L4, there are blinking lights that I can't really find their sources. The same applies to the lights that you can toggle with the switch, near the entrace to the area with the cranes. - Hotel entrance - stairs leading to security room: The walls around here might look a little bit too wide or stretched out, especially the inner wall near the red door on the bottom. Merely using the editor's old "search and fix panning" feature (the '.' key in this case) is probably not sufficient. - Same security room: The switch might be a little bit too tall/large, but maybe it makes sense for such a switch. It's still resized to have the (xrepeat,yrepeat) pair of (40,40), as commonly done for various other sprites. - Same applies to the Dukematch-only switches that operate the exact same gate as the security room switch, and appear right near the gate in DM. - Additionally, I've thought that the computers in the same security room are also a bit too height, but they are actually similar in placement to the ones from the yellow accesscard room in E1L3. Chances are I even used this as a reference. - The windows might be a bit tall again. But this is probably less of an issue. - The keyboard is quite large for this computer. Then again, it isn't exactly the usual PC, and maybe this is some reused PC-like keyboard. The table can still be just a bit taller, so it's closer in height to the computers from the aforementioned security room (or that E1L3 room). - The books near the window may similarly be raised. - The bathroom might be a little bit too tall, and actually, it may have a bit too many toilets and basins. The club itself is large/high on purpose, though. In the small cracked path you can get by shooting the fire extinguisher, there are a few walls that their texturing looks a bit stretch. While it might be somewhat OK, manually fixing these instead of merely using Mapster32's '.' key over and over again might be better. - On the way from the funicular/elevator in the ground floor to the club, there's a liztroop which, for some reason, appears to be higher than expected after map load (basically a bit in the ceiling). Probably related to the ceiling and/or floor being sloped. It's possible that I tried to tackle this a bit beforehand. - The computers in the offices are taller/larger than the one in the book store, yes. But maybe they are just different/larger models? - The light switches might be a bit large. - Entrance to hotel lobby (from the gate that can be opened via the security room's switch): Can/Should I make the exit sign look ok with World Tour's renderer, without breaking it with the other renderers (Classic/Polymost/Polymer)? - Broken elevator openings: The doors seem to be "in" the elevator shaft, especially with the lack of texturing from the shaft side, except for the case of the ground floor with the elevator itself. Originally, separate sectors were used for the elevator in all floors, but this could greatly releases the chances of reproducing the warping glitch. - Actually, maybe bring back these sectors, so it's easier to get out of the shaft, but maybe them larger. - Do the broken elevator's buttons and labeling (if not blown up, if course) look ok, especially when it comes to the sizes? I tried to go for this, while also not making them too small. - Should the game tables (Ice Hockey on the ground floor, Pool game in the penthouse) be a bit lower? Note that I increased their sizes, and especially their frames' sizes, in order to reduce the warps again. - The pinball tables were made large on purpose, but maybe it's a bit excessive? - Make the power plugs smaller, more-or-less the same sizes as the light switches in the night club floor? - Unfortunately, one of the walls surrounding the pool (ground floor) is a bit stretched. Probably occurred while tampering with at least one overlapping sector, and/or from some multi-sectors selection. - Also, a few of the sectors in the pool area, which all seem to be right below lights, have a bit brighter visibilities than the surrounding sectors. This does not apply to all sectors with lights on the ceilings. - Somehow fix a couple of secrets being easier to spot (but not necessarily reach) with WT's renderer? I'm not sure if it's that feasible, at least in one case. - Resize the light switches and power plugs in all hotel rooms (including the penthouse, of course) to have the same to-be smaller sizes as in the previously mentioned places? - The hotel room door that gets impacted by the explosions is technically a thin sector, which can lead to warps. So, make it larger in the non-visible area (i.e., the hotel room itself). This won't be done for the functioning doors in the same floor, though; They may kill the player, either way. - Make the sector visibilities for all hotel rooms' bathrooms (including the penthouse) somewhat darker? - For the worst case that you still warp, and in particular, warp outside the hotel: Make the hotel's external walls non-blocking from within. - Monsters like the assault captain may clip a bit into ceilings, especially in a cramped sector like the alien-infected hotel floor (with the alien-themed texturing). Then again, I've spotted a few cases of what appears to be clips into walls, even if there isn't a good reason, just a certain wall technically be split into separate walls in the editor (this might depend on the renderer). - In the penthouse, right after the curtains from the entrance, there's still a sector with a bit darker visibility. - Take care of the liztroop using the toilet in the penthouse, so it looks somewhat better; With the HRP, but also without (e.g., by making them a bit further from the entrance). - Make less ammo (chaingun / devastator) available in the penthouse, since there's more than enough? - In general, though, make less ammo available in lower difficulties? I really enjoyed the scale of the map, a lot of people are going to tell you it's generally overscaled but I find that this type of environment works very well with the physics in the game. Duke runs super fast and can jump about everywhere, a freedom of movement only restricted by more confined, 'realistic' indoor locations; especially whilst fighting and requiring space to strafe around or jump to avoid rockets. Some of your rooms looked three stories tall, but I very much enjoyed the breath of fresh air it provided. That's interesting to read. As previously stated by me, I've generally felt that large space with not more than a few details simply don't make it well for me. But I can see your point, and gameplay is not less important. I guess that eventually it's about figuring out the right balance. I haven't played a user map with gameplay this reminiscent of the original levels in a while, I really enjoyed the flow and difficulty with a general scarcity of ammo for the basic weapons. The Devastator provided that early on caught me off guard at first but then I realized how open the level was and thus how fun it was to use projectile weapons in such settings. A feeling only enhanced when I found the freezer then the shrinker just a little bit later. Out of habit though, I didn't use the Devastator until the very end; had I known I would be provided with so much ammo for it throughout the map (leading me to expect an overwhelming final fight that never quite came), I would have abused it as much as I did abuse the shrinker. I didn't find the RPG either (secret place is my guess, although a completely RPG-free map would actually be refreshing), but all those weapons probably work super well with the large corridors and open streets. The layout was slick, I liked how interconnected everything was, although that reoccuring portion of the map with the collapsed floors in between evelators with the hurtrail texture drove me a bit crazy; those holes could just barely accomodate the player, making getting the hell out of the harmful sector (from sloped ground too) rather tedious. How cramped a few of the hotel rooms were I thought didn't go to well with the size and scale of everything else in the map; I got squished by one of those bathroom doors once, maybe doors shouldn't be set to auto-close in such settings (because then it will occasionally be on you). Thanks for the feedback; As mentioned in the above list of issues, maybe I can reduce the amount of ammunition in the penthouse, possibly making this depending on the difficulty. Also, on the elevator, I think that I may concur. Again as mentioned in the same list, there used to be separate sectors connected to the elevator shaft with the inner sides of the doors, making it somewhat easier to get out of it. Due to the sectors being thin enough to potentially lead to warps, though, I got rid of them. Maybe I can bring them back, but make them larger. Also your aesthetics are something else. Some super uncommon texture picks, and a (harmless) scarcity of trimming in general, and shading as far as the outdoor area is concerned. I actually appreciated the bare bones look of the level and in many aspects did it remind me of the very amateur, stripped down look and feel of many user maps from 1996, which consequently I'm feeling some nostalgia for right now. Technically the map could use some more combing for detail, but it really doesn't need it as its relative lack in visual sophistication of it only makes it super functional. Sometimes I'd rather jump around in rooms with fifteen-feet-tall ceilings and maybe one crate, than in a box cluttered with stuff. Now, that's again interesting. Generally, I wanted it to feel somewhat similar to official Duke3D maps, albeit with my touches, and apart from certain few(?) cases of checking out original maps for stuff like texture choices, basically do things on my own. As written in the list of issues, originally there were no lightstreets in the outdoor area, so it maybe made somewhat more sense to have the mostly uniform shading. I'm not sure what to do atm, since making things yellow-colored won't look that great, yet it does make some sense for the lights which are colored in this way. Congrats on releasing your map. I had a lot of fun with it and will check out your older ones sometimes. Also how you're feeling right now after getting it out of the way is normal. I've been mapping for this game for 20 years but also always had other side interests, hobbies and occupations. I think every map I've ever released in the past ten years has supposedly been my 'last', partly because I was just so over obsessing the same little piece for hundreds of hours every time. So I can relate - sometimes I just get the bug back though. Thanks for playing the map! As previously stated, one of these older maps ("What the...") doesn't have that much details. And then the race map is intended to be a multiplayer map, although you may still explore it on your own, and it has at least one unusual secret hidden, in a way. 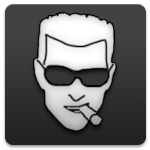 It is probably a good chance to mention some notes regarding compatibility with Duke Nukem 3D: Megaton Edition, as well as Duke Nukem 3D: 20th Anniversary World Tour. - First of all, as hinted beforehand, this was made to be compatible with DOS versions 1.3d and 1.5 first. I've actually checked the map with the above two ports only tonight. - While mostly compatible with the Megaton Edition, there are two hidden switches, for which the game will *crash* if you press on any of them. This includes a switch opening the way to a technically counted secret. I think that it's due to both of them having the hitag of -1 set, so they don't emit any sound effect on press. - The above is not an issue in World Tour as of writing this. However, one secret area is technically revealed by true 3d rendering (but not the exact way to it), and another one is made clear with ambient occlusion. There are other instances in which any of these may have unintended consequences on the look and feel, including a misaligned exit sign's labels. In fact, the last point kinda applies to the HRP as well, at least with regards to the way different textures are aligned with each other (but obviously also more than that). All fixed. The latter might be due to widescreen vs. the game's original aspect ratio, at least partially. Quite a common issue. Nice, and interesting to see the possible cause for the latter (which makes sense). If you're referring to that Indiana Jones thing: yes. Automap not only helps with the shrinker puzzle. Indeed, I eventually decided to leave this little area clearly open (i.e., without a non-blocking wall, masked or not), and thus viewable in the automap. Still made sure to not directly reveal the way to that other secret in the automap, heh. Hey there, and thanks for checking the map out! - First of all, and this should probably be discussed under spoiler tags: Anybody found this easter egg of sorts? Or at least one of these ways to a specific secret area? - To LeoD: Thank you for your interest and support! On the less good news, though, I don't think that I'll make another map, especially of a similar scale, in the (near?) future. This was a kind of a one time event for me; I otherwise seem to go into realms like coding again. - This was basically solo work, with no feedback from anyone else. Just 2 days before the release, I finally gave a few individuals the chance to check out the map. Naturally, though, this was not enough time, and most of them had greater priorities and/or interests. I really can't blame them; I also don't tend to beta-test others' gaming-related works as much. Even though you state that it's not compatible with the HRP, you've prepared it more in my favour than many. So I played using HRP/DukePlus/Z-Pack, and everything was just as fine as with any other cleanly designed map not specifically made for this setup. Nice, great to see it's working (mostly) well for you. - The walking Duke statue. - The ability to see a camera while using a viewscreen, at least in one instance. I ran somewhat low on health while cleaning the outside area. I can see the point. What I think that I've noticed more, is having somewhat less ammo. But this might just be the usual, and hopefully there are enough supplies in the map (although locating secret areas greatly assists). Some items/parts of the environment seem a little out of proportion, which appears quite common with less experienced mappers. Thanks for this feedback, it's important to let me know. I kinda hoped that I was better than simply doing oversized rooms and co. I also think that all swinging doors should have the same size, more-or-less. Going through the map itself, though, I think that I could spot some examples. Generally speaking, one thing that wasn't favored by me, is quite large areas with a relatively a small amount of details. I tended to prefer more compact ones. The outside area was a bit of challenge, especially after getting almost all work on the map done, so I tried to add at least a few details, here and there. Additionally, as stated in PYRATEL.TXT, there were these few instances in which I was forced to increase the sizes of certain sectors, due to the warping glitch. Examples of these are the broken elevator doors, the curtains in the penthouse and the games' tables (mostly their surroundings/borders). There was also one inverse example - the doors in the underground bathroom, originally made out of sectors, were replaced with sprites. There were a few cases in which I kinda thought it made sense to make things look large, at least when (somewhat) compared to certain real life experiences that ones may have. This covers the hotel entrance, as well as the pinball tables. Have I really missed this? How weird, haha. What's funny is that it looks a bit off even *without* the HRP, but... I guess that I can leave it as a weird joke of sorts. Thanks again for the report. I should have maphacks ready within the next 24h. Well, that's been fast, heh. Quite a solid first release. Hoping to see more from you. Thanks again for the feedback. Interestingly, though, I'm not sure if you got this from PYRATEL.TXT, but technically-wise, I'm not new into using Build/Mapster32 at all. Not that a lot was actually made publicly available. NYSRace (well, the original revision) was released on April 2007. January of 2009 had this weird map of "What the...", which visually looks *significantly* worse. I guess that it was way more about having a few tricks/gimmicks than actual map design.